Would you like to have a job that gave you 218 days off a year? 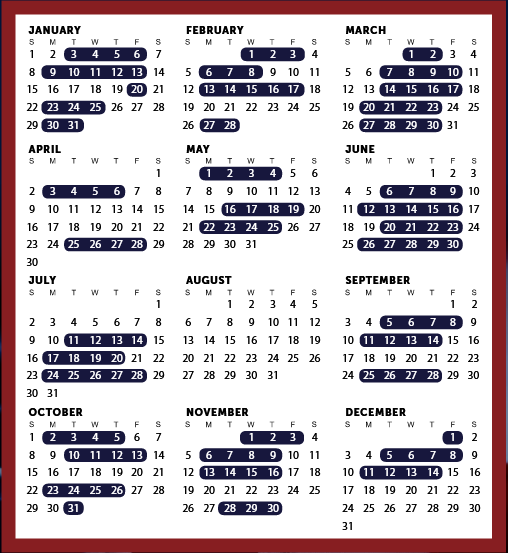 According to the official calendar put out by House Majority Leader Kevin McCarthy, the House of Representatives will only be in session for 147 days in 2017. And that is actually an increase from last year. In 2016, there were only 131 legislative days for the House. So if you are wondering why Congress never seems to get anything done, this is one of the biggest reasons. The sad truth is that members of Congress simply do not spend a lot of time doing what they were elected to do. If you are an average American worker with a full-time job, you probably put in around 240 working days a year. If you have to work that hard, why can’t Congress? And actually things used to be even worse. The New York Times looked back at 2013 once it was done, and they found that the House was only in session for 942 hours for the entire year. When you break that down, it comes to about 18 hours a week. If you go all the way back to 2006, there were just 104 legislative days in the House. It is almost as if they just decided to take pretty much that whole year off. This is what I am talking about when I say that we need to “flush the toilet”. Those that are fortunate enough to be chosen to represent us in Washington should be some of the hardest working people in the entire country, and unfortunately we are getting just the exact opposite. Some attempts have been made to force members of Congress to work full weeks. In 2015, for example, a Republican lawmaker from Florida, Rep. David Jolly, introduced legislation that would have required the House to be in session 40 hours a week when members of the House were in Washington, D.C.”A work week in Washington should be no different than a work week in every other town across the nation,” Jolly said at the time. Jolly’s measure failed to gain traction. Congress gets especially lazy during the summer months. Many Americans don’t realize that every year Congress takes the entire month of August off. And actually, the House will be on vacation from July 29th all the way to September 4th in 2017. Wouldn’t it be nice if you had the entire month of August off every year? First, we have to complete the work on the first phase of repealing Obamacare and fixing our health care system. Second, we have to pass a budget resolution that will work within the reconciliation process for changing the tax code. Third, we have to use the appropriations process to fund the federal government by the end of the fiscal year on Sept. 30. Fourth, we have to deal with our debt limit. The Treasury Department has used extraordinary measures to buy time since the national debt hit its limit of $19.8 trillion in March. Fifth, we have to finally act on our once-in-a-generation opportunity to change our archaic tax code, but we will only be able to do so if we achieve the first four priorities. If those things don’t get done in time, members of Congress should not expect the voting public to have any sympathy for them. Members of Congress have two jobs: represent their constituents and govern. These responsibilities do not always go hand in hand. Representing constituents means speaking with them in person, holding town hall meetings, organizing rallies, attending to casework, and otherwise being present in the district or state they represent. This is not easily done from a Washington office. Supporting or opposing legislation is an important part of a member’s job. However, it does not come close to capturing members’ range of responsibilities. This is why even when Congress is out of session, members are at work. Most members of Congress work a five-to-six-day week. The representative aspect of Congress’s job is almost completely ignored in these statistics. Yes, without a doubt it is important for members of Congress to go back and interact with those that elected them. But at the end of the day their main job is to do the work that they were elected to do. This is why we need federal term limits. If members of Congress were not so busy constantly raising money for their next elections maybe they would have time to actually get something done in Washington. In November the American people gave the Republicans control of the White House, the Senate and the House of Representatives. Enormous amounts of time, money and energy went into those campaigns, and now we want to see some results. Instead of flying off for a month-long vacation in August, Congress should stay in town and get to work. The Republicans have already wasted much of the first half of 2017, and the mid-term elections are right around the corner. It is time to change the way that Washington works, because right now we have a system that is deeply broken.